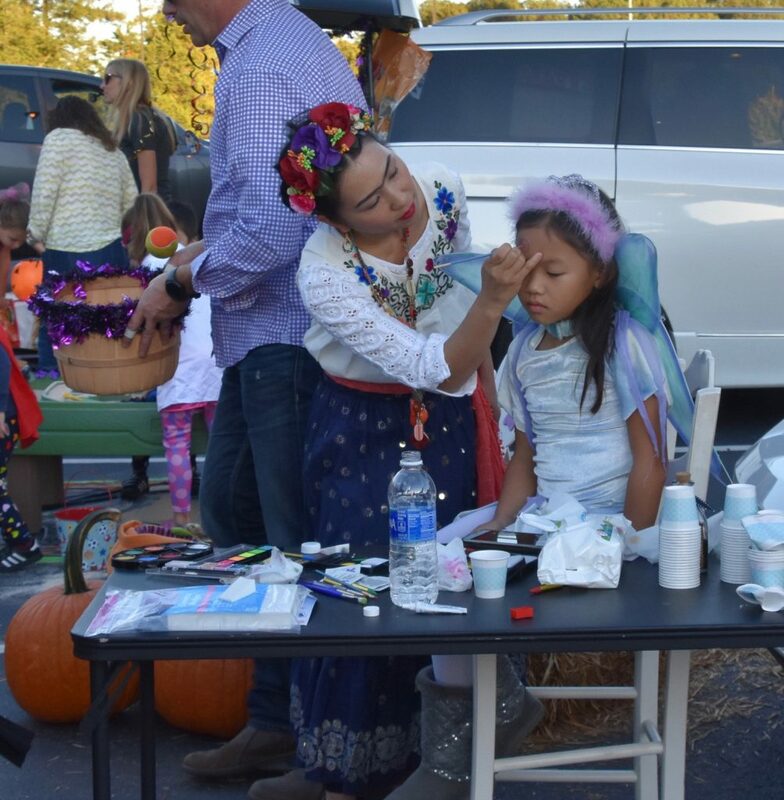 For many years, JCUMC has sponsored a Trunk N Treat for the children of Johns Creek. Last year’s event was so much fun with all the lively decorated trunks and cute games. This year, the Children’s Ministry is teaming with the JCUMC Preschool to present the Boo Bash on Saturday, October 13th from 10:00 a.m. until 1:00 p.m. So what’s different about the Boo Bash? According to Diane Durham, JCUMC Preschool PTO Treasurer, this is an event that combines Trunk N Treat with even more child-friendly games and events. They are planning lots of entertainment including a hay bale maze, petting zoo, bouncy houses, face painting – plus Chick-Fil-A and the Kitchen Angels will be there selling food, snacks and drinks. The purpose is to provide an opportunity for the entire community with preschoolers and elementary aged children to come to our campus for some fall fun. Another difference? Many of our ministries are involved in making sure it’s a great time for all. Boo Bash is the combined effort of preschool, recreation, child, youth, and adult ministries. Pulling something off like this takes a village, and our village is pretty incredible. Go to https://www.signupgenius.com/go/70a084da5ae2fa13-boobash and sign up for a specific time slot. Slots are available from 8:00 a.m. until 3:00 p.m. Help is needed selling concessions or wristbands, working the various activities, directing families around the campus, and (of course) setting up and cleaning up. Sign up at the same link to host a Trunk N Treat. This is a wonderful activity for families with older children – or recruit your friends, neighbors, Bible study or other group that would enjoy dressing up, decorating a car and handing out candy. Just show up and welcome folks to our church. The only skill required is the ability to smile! If you’d like to pre-purchase wristbands for $10 per child, go to the event page. Pre-purchase of wristbands is available to JCUMC church members, preschool families and recreation program participants. Come help welcome the families from our preschool and community to our campus on a Saturday and show them how loving JCUMC is!